Hugely respected techno scientist Stefan Goldmann shifts his attention to Cocoon for two tracks of expertly constructed dancefloor gear. 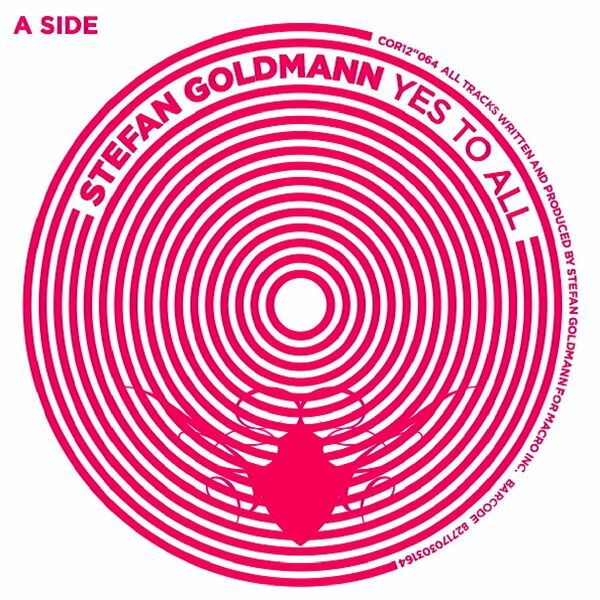 This is the sort of stuff that works so well at clubs like Cocoon where dancers go at a steady pace all night, so Goldmann constructs 'Yes To All' with incremental shifts in tone and melody to fit that 6am vibe when everything seems a little twisted. By contrast, 'Under The Beam' shows his versatility with a sprightly string led piece with his usual attention to macro-fine detail and electro-acoustic sense of spatial awareness. One for fans of Villalobos, Luciano or Martin Buttrich.